This photo I believe was made fairly soon after Albert's death, possibly that Christmas. Despite her grief, she was active in 1862 making arrangements for the marriage of Bertie to Princess Alexandra of Denmark and making an an extended visit to Coburg. The latest series is definitely moving towards being aimed at the ladies. Hunky footmen, tempted duchesses, trouble with the kids, rakish Foreign Secretaries; last night they even had a sensitive doctor - John Snow, the man who discovered that cholera was water-borne. Apparently he and Queen Vic met to solve the cause of the 1854 epidemic (yes, just the two of them). In actuality he was her anaesthetist during her childbirth in 1853. As sticking to the facts go, it's close enough for me. John Snow was her anaestethist who also solved the cholera problem in 1854. Victoria was involved in the former, but not in the latter although she did support him against the wrath of the medical establishment. However the drama has her doing this in 1849, not 1854, but what's 5 Years for good story. She even invited him in for tea . 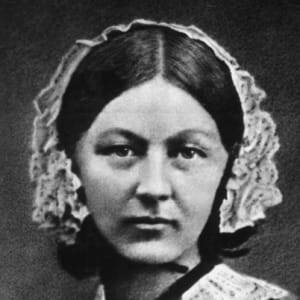 BTW Florence Nightingale really looks very much like the real person. Ahh yeah, I forgot about Flo. It's all getting a bit namechecky, I mean this Florence Nightingale, was she in Scutari or Soho in 1854/1849/whatever?